A wonderfully-written analysis of Hanamonogatari, one of the weaker, but still interesting, entries in the Monogatari series. Tell ‘em all they’ll love in my shadow. 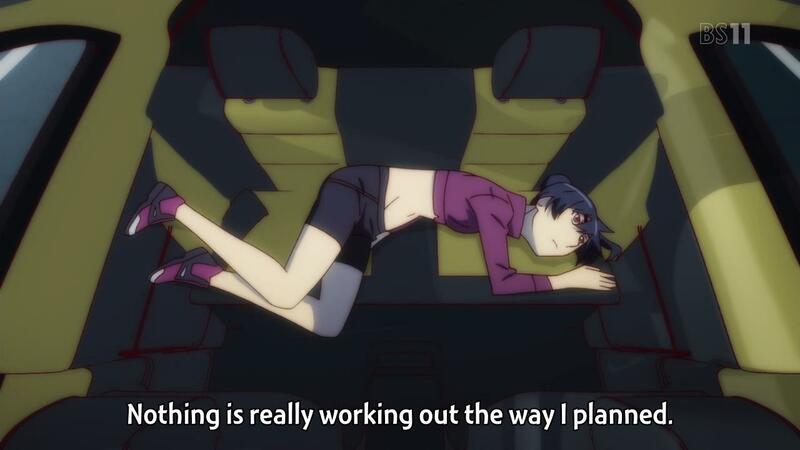 Kanbaru knew who she was, once. She was a runner. A basketball star. A girl in love. She was somebody, at least – a specific person. There were things typical of her; she knew where she stood and where she was running to. But at the beginning of Hanamonogatari, her path has shifted from a fixed track to an open field – her past offers no clues, her future holds no direction. She’s not a basketball star anymore. Her schoolgirl crush has shifted to respect for an absent friend. All that’s left now are hard choices, and a heavy rain of insistent, contradictory advice. I tend to suspect that this article reaches a bit beyond my qualifications as a writer, but as it was written mostly stream of consciousness, I think it greatly reflects many of my personal beliefs. That said, it’s a bit different from my normal writings and thus a little bit more interesting (or at least it seems to me). Christianity has, in the past few decades, had a confusing relationship with the post-modern movement and its refutation of objectivity. On one hand, many Christians agree with post-modernism’s skepticism of modern culture, skepticism of everything really, and acknowledge the possibility of many different existences or ideas. However, on the other hand, many Christians simultaneously disagree with these same notions that nix the possibility of one true objective belief and one true objective God. A sticky situation (and one that I’m sure most post-modernists would love to discuss for that reason! ).